please give us a call on 021081 63299 or use the contact-us form and advise us of your postcode and town. We will find the cheapest delivery option for you. Our wood fired ovens come packed in carton on a pallet with a wooden open crate for protection. 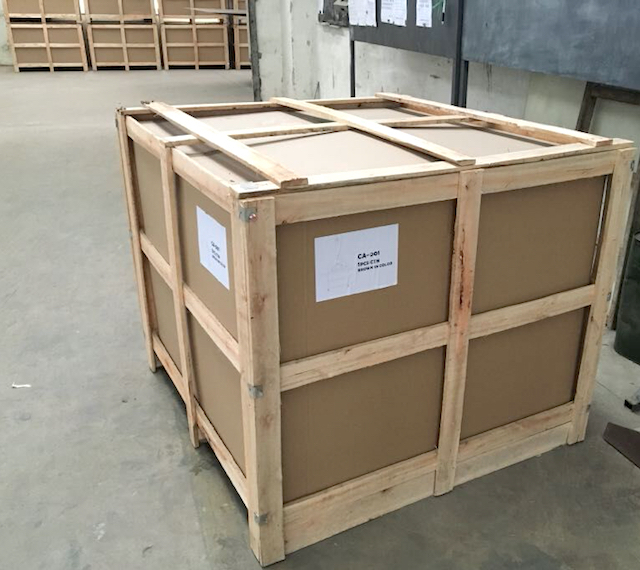 Measurements of the pallet with crate of the My-Chef gourmet ovens: W 11 x D 125 x H 85 cm, gross weight 450 kg. Measurements of the pallet with crate of the My-Mate pizza ovens: W 115 x D 110 x H 95 cm, gross weight 250 kg. Measurements of the pallet with crate of the My-Buddy portable ovens: W 90 x D 90 x H 80 cm, gross weight 160 kg.